MILES - SWINDON, THIS IS SWINDON. William Miles was born in 1851 at 30 Reading Street, the son of a modeller and pattern maker from Tredegar, Monmouthshire. By the mid 1870s William had left Swindon for Yorkshire and in 1879 he married Harriet Matilda Thompson in Scarborough where he worked as a chemist's assistant. 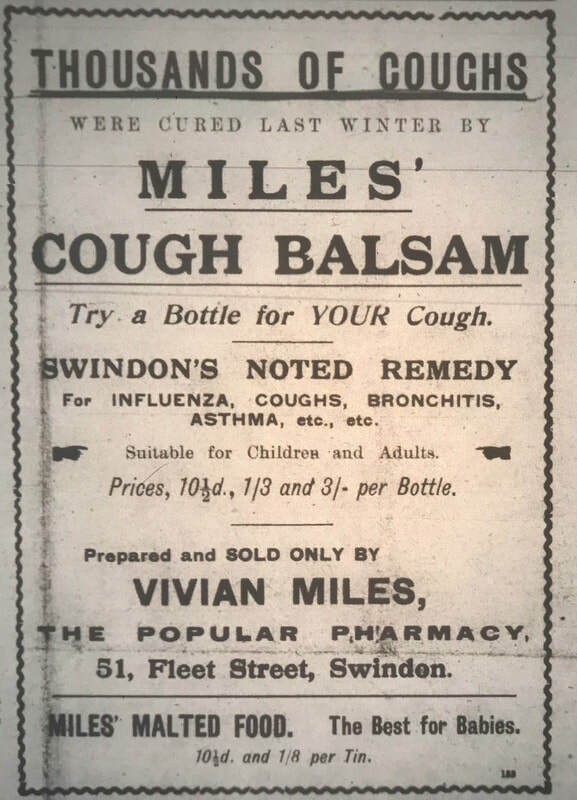 William didn't return to Swindon until the end of the 1890s. In 1901 William, Harriet and their only son William Edward Vivian Miles, were living at 32 Milton Street and trade directories list William as occupying a Chemist and Drug Store at 32, 49 and 51 Fleet Street during the next 10 years. I don't know if this indicates a change in numbering along the street or whether they kept moving. 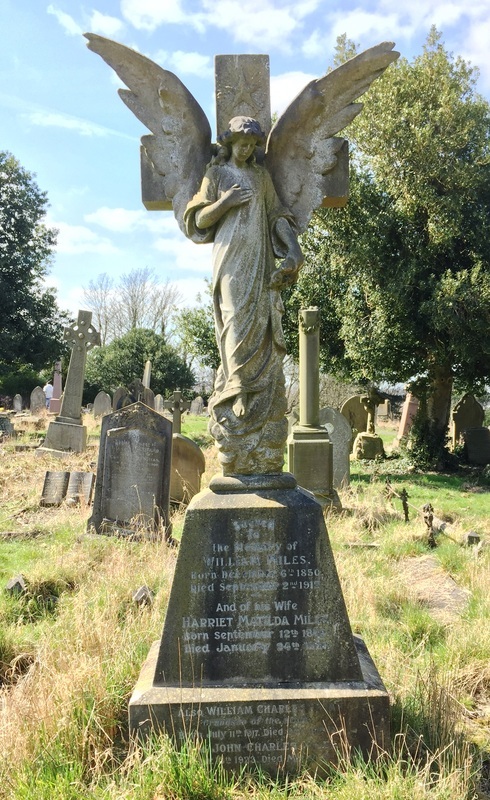 William remained I business until his death in 1912.
than £2,300, worth somewhere in the region of £150,000 today. Harriet outlived her husband by nearly twenty years. She died aged 78 in 1931 and is buried here with him. The couple's son William Edward Vivian Miles and his wife May Till Miles with their two young sons, William Charles Vivian and John Charles are buried here.